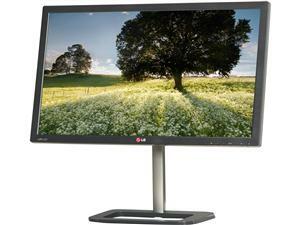 For creators of digital content, the monitor is as much a tool of the trade as the CPU, graphics card or keyboard. Inaccurate color can hinder filmmakers, photographers and designers, so LG developed its EA83 ColorPrime specifically tailored to provide top-of-the-line, highly accurate picture quality. LG’s EA83 ColorPrime offers 10-bit color display, to produce 64 times more of the color spectrum than available on an 8-bit color display. The EA83 offers Wide Quad High Definition resolution (2560 x 1440 pixels), which contributes to its superior image and color reproduction. The ColorPrime monitor is capable of accurately reproducing a wide color palette of 99 percent of the Adobe RGB color gamut. With the hardware calibrator and True Color Pro calibration software, users can enhance colors even further for a high-quality, accurate image. The monitor can also be rotated up to 90 degrees, giving graphics professionals an alternative way to view and arrange their work. With LG’s In-Plane Switching (IPS) technology, the ColorPrime has an increased viewing angle, allowing for multiple users to see accurate, high-quality images. The monitor also has an increased tolerance for higher temperatures, maintaining image quality and not getting color washout through constant use. IPS technology provides advanced color accuracy and image quality as well. IPS affords faster response times and better color reproduction, acting to enhance the LCD screen. Check out this video from Newegg TV for more on the LG EA83 ColorPrime! LG is getting better every time. This is surely handy especially for watching videos and files in HD.